Pollinator week is a great opportunity to get kids interested in and excited about pollinators: it’s as easy as taking some time to explore and observe in your backyard, garden, or local park. Cooking with foods that are pollinated by pollinators is a similarly simple way to teach kids about how pollinators help feed us every day! If you’re looking to do a bit more to attract pollinators to your area, planting a pollinator-supportive garden is a fun and easy activity that kids can get involved with. We sell pollinator garden kits which include a mixture of seeds suited to our region in the northeast (we plant this same mixture in our solar fields across Vermont). These seeds will provide forage for native pollinators throughout the season, and add a variety of vibrant colors to your yard. Plus, the kits come with a bee the change bandana! Check out our blog post “plant your own pollinator garden” to learn more! Some of our favorite, easy-to-make, kid-friendly summer treats are brought to us by pollinators! 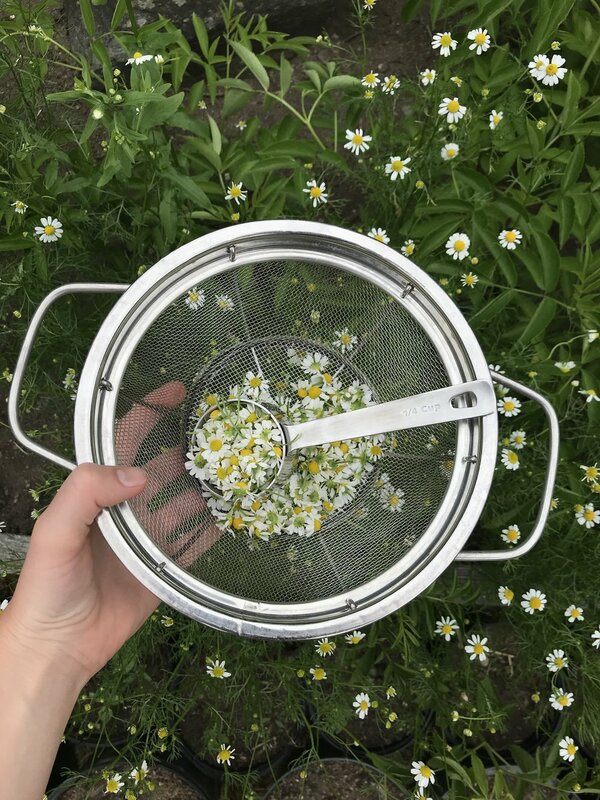 Harvesting ingredients from your own garden or a local farm provides another opportunity to teach about where our food comes from and the work that goes into producing it (you may even spot some pollinators in action!). 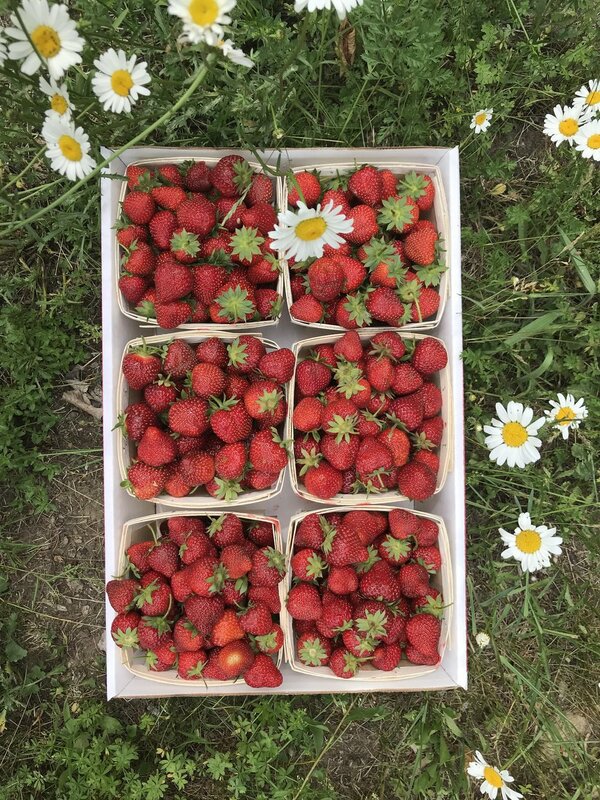 We harvested the chamomile from our own garden, and the strawberries from a pick-your-own patch in nearby Cornwall, Vermont. The honey, of course, was harvested from our own bees! Recipe from The Fresh Honey Cookbook, available in our shop! 1. Thoroughly purée mango, key lime juice, honey and salt in blender. 2. Add ice cubes and pulse until slush is desired consistency. 3. Pour into glasses, garnish and serve! 1. Wash strawberries and remove caps. 2. Combine ingredients in blender. 4. Pour into popsicle molds. 1. Bring water to just under a boil. 2. Remove water from heat and add honey and tea bags/flowers. 3. Place lid on pot and steep for 10 minutes. 5. Pour into popsicle molds.